You are welcome to the world that is full of obstacles and different impediments. Just try to help the Ayo to stay alive and get different keys in order to move to the next level. Is everything clear? So, then just try to do it right and you will be the winner of the game. Try to embark on the way for finding lost sphere of life. You will have to get the sphere back you will have to overcome many obstacles using items around. Cause the sphere which is the source of life is stolen... and the king assigns Ayo to find the sphere. 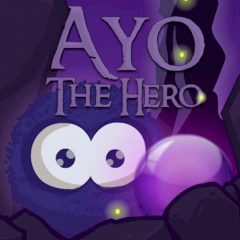 In Ayo the Hero you have to find him to return the magical sphere! Just use the arrow keys to control the hero. And try to avoid the obstacles and enemies! Are you ready for such an exciting challenge? Then start it right now and you will cope with it!